“OIG is committed to protecting precious Medicare dollars and ensuring that beneficiaries receive quality, necessary long term care,” said Special Agent in Charge C.J. Porter of the U.S. Department of Health and Human Services’ Office of Inspector General (HHS-OIG) at the time. The settlement resolves a lawsuit that was filed by Sylvia Daniel, a former health information coder at Vibra Hospital of Southeastern Michigan, under the qui tam or whistleblower provisions of the False Claims Act. Under the False Claims Act private parties are able to file an action on behalf of the United States and to receive a portion of any recovery. Daniel will receive at least $4 million. The settlement is yet another example of the government’s ongoing efforts to combat healthcare fraud through its Health Care Fraud Prevention and Enforcement Action Team initiative. This unit was announced back in May of 2009 by the Attorney General and the Secretary of Health and Human Services. 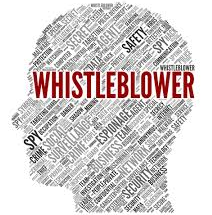 If you know of fraud that is being committed against the government or one of its agencies you are encouraged to report it and to contact a qui tam lawyer. A qui tam lawyer will be able to determine if you are able to file a lawsuit on behalf of the government.